Florida has many gated communities that offer golf access. 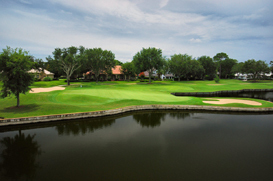 Gainesville in particular offers those looking for golf course communities many homes to choose from. Whether you are buying a home for the first time or looking for exclusive Gainesville Florida Luxury Homes there are a variety of choices available. Our firm makes finding that perfect home easy so you can enjoy that Golf lifestyle of leisure you have always wanted. Surrounded by a true natural beauty, Gainesville has a wonderful selection of beautiful golf community homes rich with all of the upgrades and amenities that any buyer could ask for. Sincerely James Angelo, Broker.